Mouse anti Human CD45RA:FITC/CD8:RPE has been developed to allow the simulatneous evaluation of CD45RA and CD8 expressing cells by flow cytometry. CloneF8-11-13 recognises CD45RA, a ~220 kDa glycoprotein expressed by B cells, monocytes and a subset of T-cells.Clone LT8 recognises CD8, a 32kD glycoprotein expressed by the suppressor/cytotoxic subset of T cells, and weakly by NK cells.  Where this antibody has not been tested for use in a particular technique this does not necessarily exclude its use in such procedures. Suggested working dilutions are given as a guide only. It is recommended that the user titrates the antibody for use in their own system using appropriate negative/postive controls.